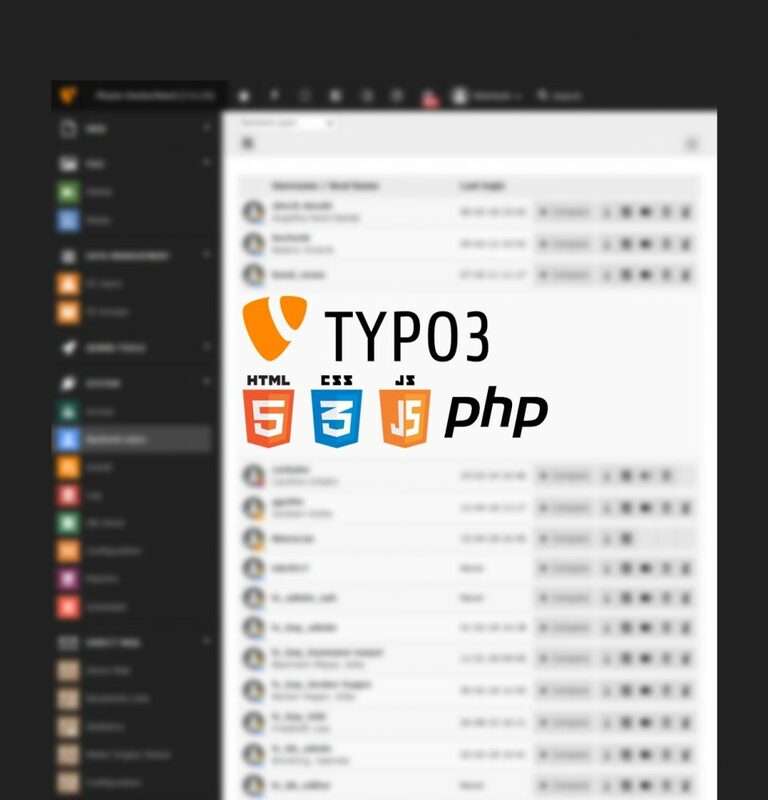 As one of the most important and most frequently used content management systems in the world, many companies today rely on TYPO3 for their web development needs. Individual solutions, tailor-made extensibility and many other positive factors have made TYPO3 one of the market leaders in the CMS segment. Are you looking for a competent TYPO3 agency in Cologne that can implement your ideas in the field of web development, tread innovative paths and close any security gaps that may exist? We at Webrunners stand for modern TYPO3 programming – no matter if you want to realize a whole new project with the help of TYPO3 in Cologne or if you want to optimize an already existing realization. Benefit from our free initial consultation today. Our work as a TYPO3 agency in Cologne not only includes the implementation and implementation of individual solutions with TYPO3, but also ensures the permanent functionality of these solutions. That is why TYPO3 Hosting and TYPO3 maintenance are absolutely part of our services. Only if security gaps are closed immediately and the necessary updates and upgrades are implemented regularly, can your web applications really function reliably with TYPO3. The CMS system TYPO3 offers you as a company for your web applications unlimited usage and individualization possibilities . Since TYPO3 is also an Open Source system, the costs are low, while the security requirements are also strongly increased. Irrespective of whether you are an internationally operating company or a regional company interested in TYPO3 programming – we at Webrunners will find the right solution for you among the multitude of possibilities.